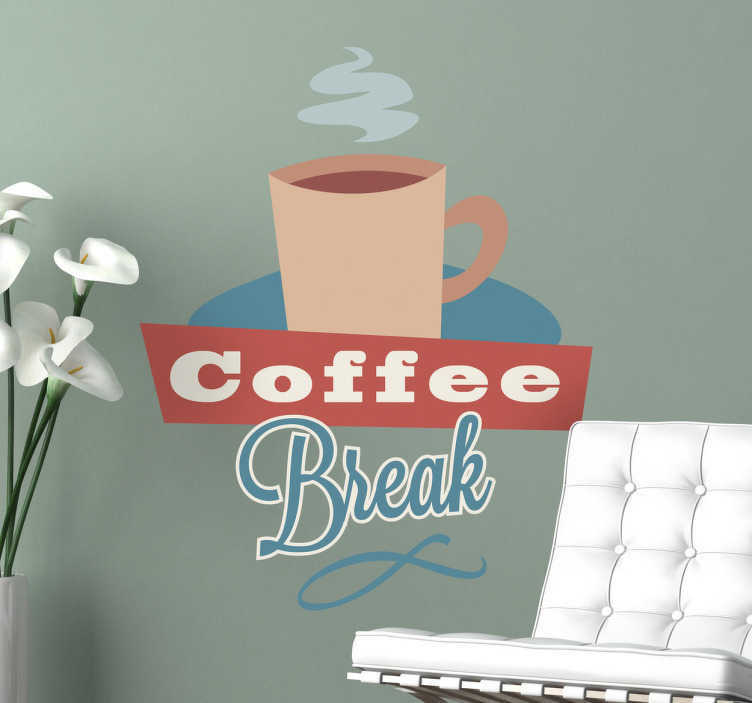 A "Coffee Break" decal to give your office or home a lovely appearance and atmosphere This coffee wall art design is deal for those coffee lovers. An ideal feature for the company break room. This creative design for coffee breaks is available in various sizes. Made from high quality anti-bubble vinyl. Can be applied to any smooth surface, also easily removable when needed leaving no damage or residue.